Some find it simple, and others feel like its a jungle. 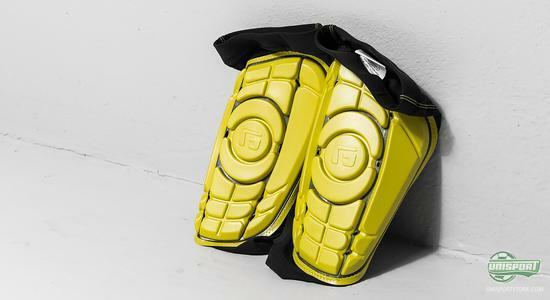 No matter what, it is hard to ignore the vast selection of shin pads available on the market right now. 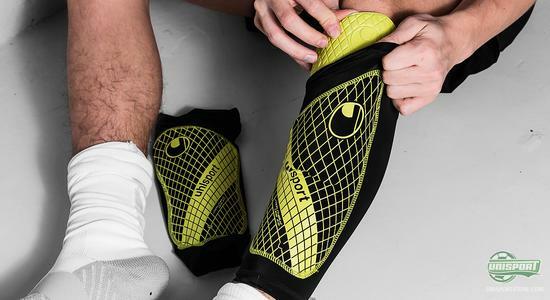 Therefore, we have selected seven of the best and most popular shin pads to try and help you out. We just need to emphasise one thing. 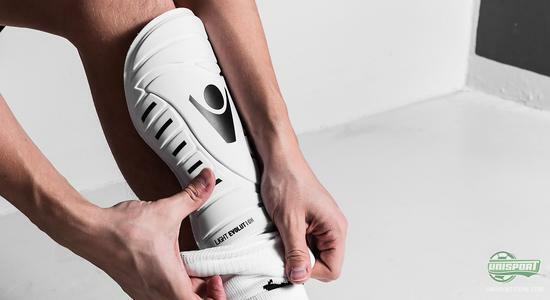 Picking your shin pads ultimately comes down to what you personally feel is more comfortable. Some likes the feeling of being very well protected, whereas others would actually prefer not to wear shin pads at all. 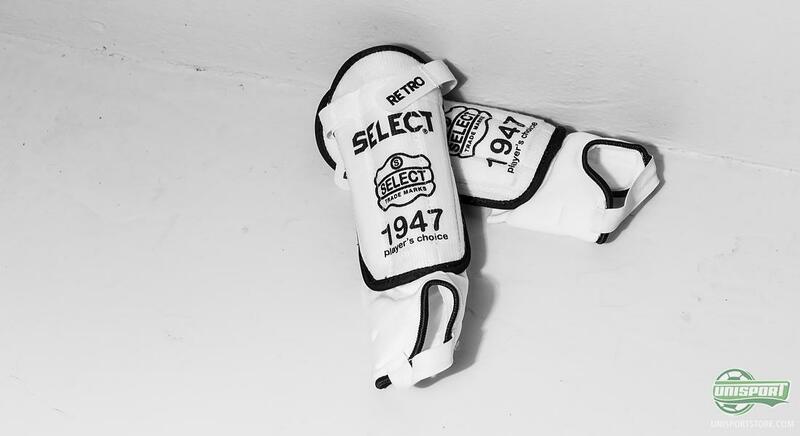 Personal preference is of absolute key importance when it comes to picking out your shin pads. Once you know what you are looking for, we will be ready to guide you as much as we can to find the optimal match for your needs. 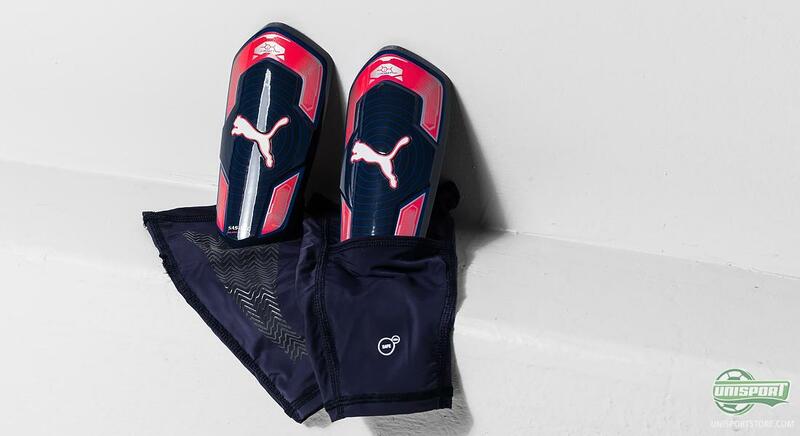 Find the shin pads in question right here - from 13 Euro. 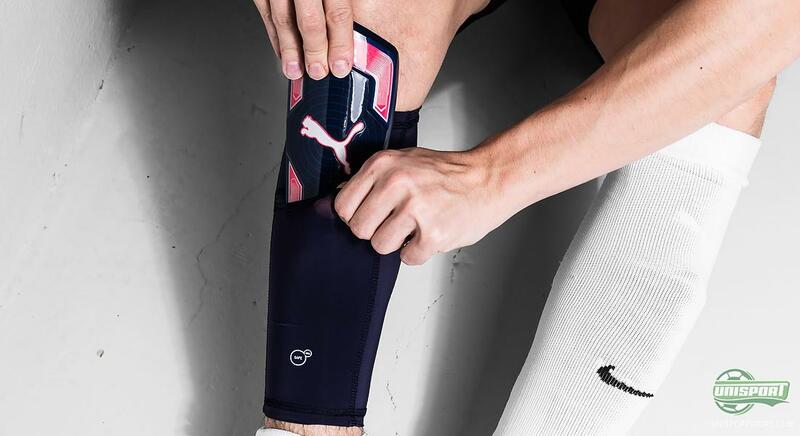 In general terms, the selection may be arranged in two categories - shin pads with a kind of a built-in sock to keep them on the leg, and then shin pads with an external compression sock that keeps the shins in place. 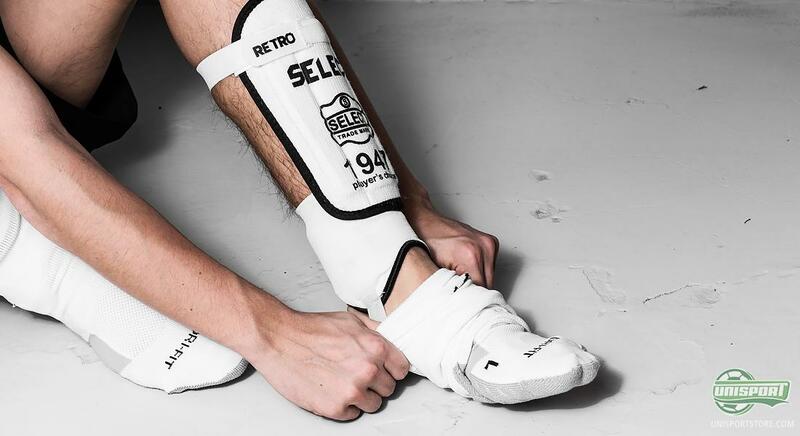 On the one end we have the classic Select shin pads, as well as the more innovative G-Form and Uhlsport Sockshield shin pads. And on the other end we have the Nike Mercurial Blade Hinge, adidas f50 adizero, PUMA evoPOWER and the Macron Supreme (comes without compression sock). 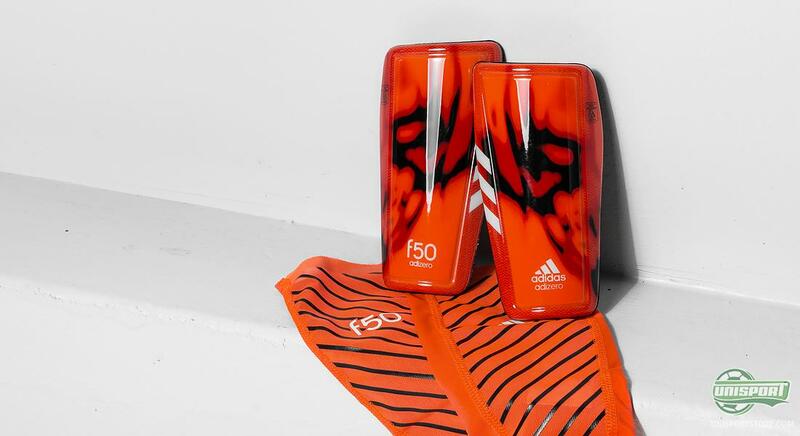 There is plenty of innovation included in the various shin pads. 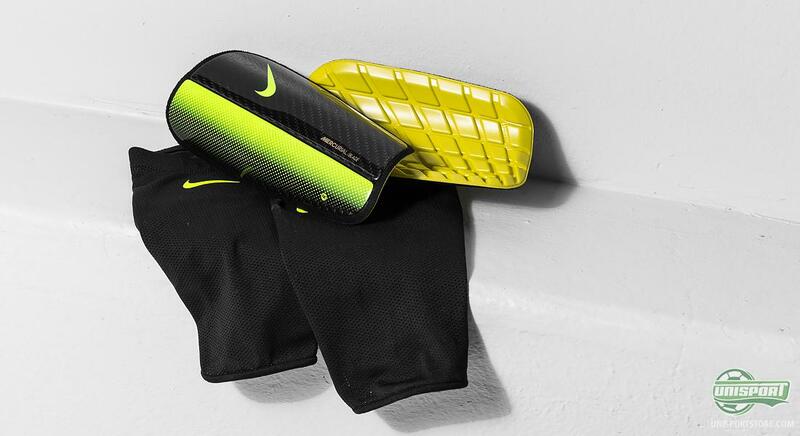 For example, Nike have made their Blade Hinge with a carbon shell, while the Hinge technology ensures a snug and personal fit. This shin pad is also the most expensive. However, it is worth every penny if you prefer a shin pad that you can hardly feel on your leg. 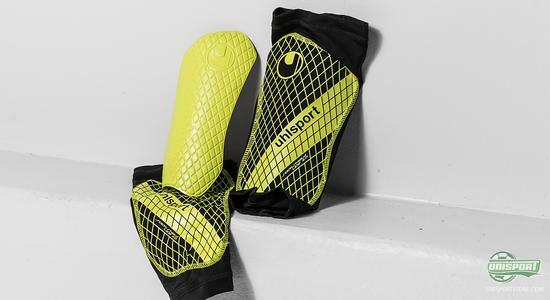 Also G-Form and Uhlsport have brought some innovation to the table with their built-in compression sock, which provides a unique and smooth fit. G-Form have developed a unique rubber “shell”. A technology which they have dubbed Reactive Protection Technology, as it absorbs up to 90% of the energy from an impact, and distributes it across the shin. 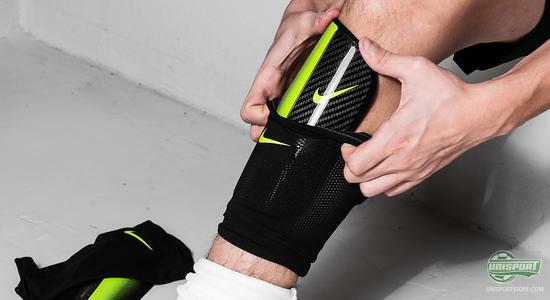 These shin pads will also deliver a lush fit on your leg, and you will hardly feel them. Find our huge selection of shin pads right here. 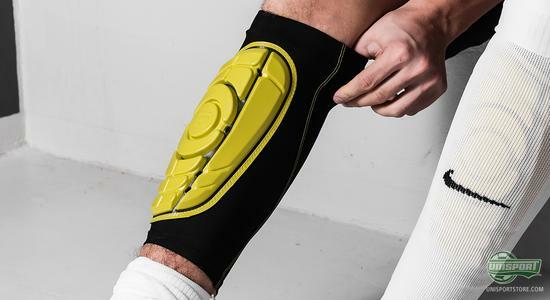 Looking at the more inexpensive and slightly more bulky end we will find shin pads like Select and Macron; which focus on protecting as much of your leg as possible. 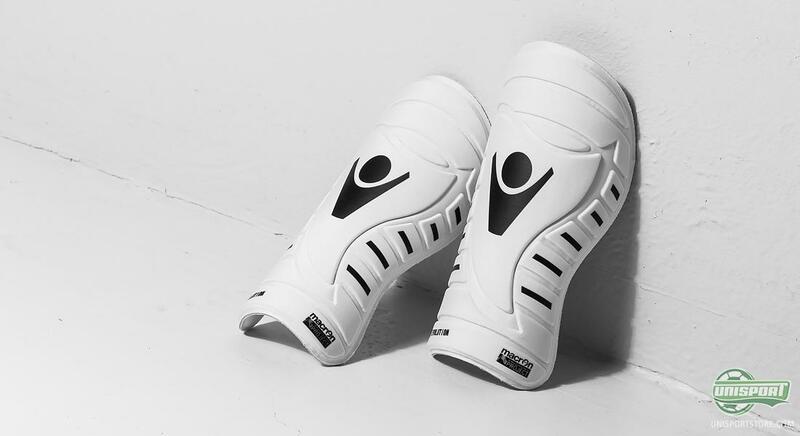 The feeling of these shin pads is a different experience compared to the previously mentioned, as they feel larger and more bulky on your leg. If you like to get yourself into some hard tackles these shin pads may very well be worth looking into. There are so many shin pads to choose from, and therefore we here try to help you in your search for the perfect shin pads for your needs. 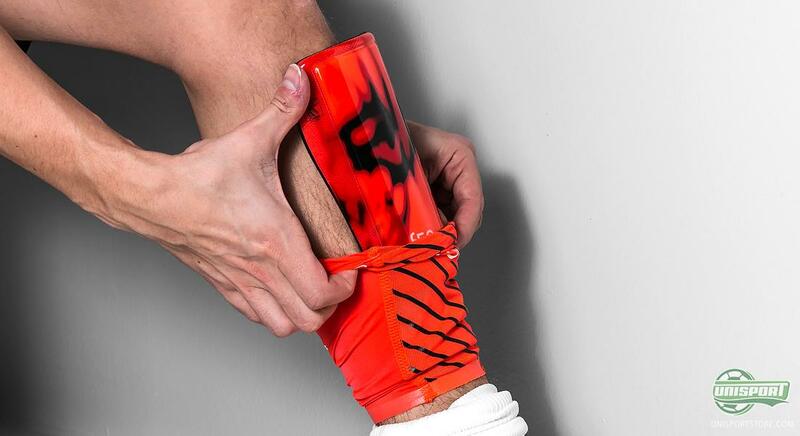 What shin pads have you had the best experiences with? Take your football passion to a social level and share your thoughts on Facebook, Twitter and Instagram.